When you think about gymnasts and gymnastics, one of the first thoughts that comes to your mind is probably how flexible they are and how they got that way. I recently went to a Strength & Flexibility in Gymnastics seminar taught by Dr. Dave Tilley, and learned a lot about how the current research and thoughts on flexibility have changed in recent years. When I was growing up and learning gymnastics, I always believed that stretching is the way to get more flexible. I now know that there is a lot more that goes into improving flexibility. After reading this article, I think you will be shocked at some of the information, but also leave with new ways to work on increasing flexibility. Hazel, a level 3 gymnast, showing off her flexibility–You can check her facebook page out here. Any flexibility move should be accompanied with a strength move for that part of the body. Disclaimer: I am not a doctor and you should consult a physical therapist before starting any new flexibility regimen. I cannot be held responsible for any injuries. I am not sharing my own thoughts, but information I’ve learned from others and from reading research. Now that we have that out of the way, what is flexibility? Flexibility is the range of motion you have in a joint or a group of joints. Being flexible in one joint doesn’t necessarily mean you will be flexible in another. Why is Flexibility Important in Gymnastics? So first, why is flexibility important in gymnastics? Flexibility is important in gymnastics because without the right range of motion, gymnasts will be unable to learn how to do certain skills. They will also receive deductions when they cannot reach a certain position. As an example, when gymnasts do not perform split leaps at the angle required by their gymnastics level, they receive a deduction. Different sports require flexibility at different places in the body. For gymnasts, hip and shoulder flexibility is important in order to do many skills. Hip flexibility is important for splits, jumps and leaps. Shoulder flexibility is important in order to do bridges, back handsprings and numerous other skills. Another reason flexibility is important is that it is believed to reduce injuries. However, flexibility can be overdone. The way our bones come together affects how much flexibility we will be able to achieve. Not all gymnasts are going to be able to do every skill because of how they are composed. So if a skill causes a gymnast pain, she should look for another skill that will get her the same credit and fill the requirement. One important takeaway I had from Dr.Tilley was that we should always think about what kind of flexibility gymnasts need in order to perform the skills they are trying to learn. We should not just be trying to gain flexibility in order to impress others. Because in some cases, too much stretching can cause a loss of mobility. Also, never do a stretch that causes pain. So, How Do you Increase Your Flexibility? Here are some methods that are currently believed to increase flexibility for gymnasts. One thing that Dr. Tilley believes is very important is self-massage with a foam roller. He has his gymnasts come in 10 minutes before practice and foam roll head to toe. Current research believes this self-massage may increase flexibility after being done for 2 weeks. It is also believed that it helps relieve muscle soreness. So gymnasts can foam roll their sore muscles after a workout to try to ease their soreness for the next day. 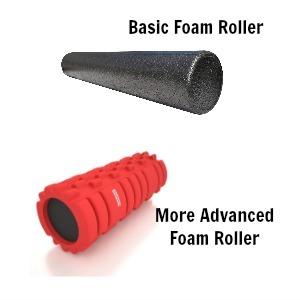 Basic Foam Roller– Beginners should start with a basic foam roller. Foam Roller with Bumps– A foam roller with bumps is for those who have already mastered self-massage with the basic foam roller. So, what muscles should you foam roll? To use the foam roller, put the foam roller on the floor and put the body part you are trying to foam roll on top of it. Slowly use your body to roll back and forth on top of it. Doing it slowly will cause more blood to flow to those muscles. In order to get the maximum benefit from stretching, you must control your breathing. According to information from MIT, you should be taking slow, relaxed breaths while you are stretching. You should inhale in through your nose while expanding your belly not your chest, hold the breath in a moment and then exhale slowly through the nose or mouth. Ideally, you want to be exhaling during the most intense part of the stretch. I would practice these breathing exercises before you stretch, so that you can execute them while you are stretching. Static stretching is when you get into a position and hold it without moving. An example of a static stretch is a split, since you sit still while you are in it. When performing static stretches you should only go as far as you can without pain. Static stretches are the least likely type of stretches to cause injury, and they are great for warming up and cooling down. If a movement, or stretch, puts you in an uncomfortable position, you should not do it. Not every stretch is meant for every person. There is conflicting information about how long you should hold a static stretch, but this article from MIT suggests that children should be holding stretches for about 7-10 seconds. Some suggest that increasing the amount of water you drink a day will lead your body to be more relaxed, and therefore increase your mobility or your flexibility. I felt I should definitely mention this factor that might help you increase your flexibility because it’s something you can do that can’t hurt! It’s important to stay hydrated anyways, so you might as well make sure you drink your recommended water intake per day. Dynamic stretching is when you do stretches as part of a movement. An example of this would be a controlled lift of one leg, or controlled arm swings. The key to dynamic stretching is that you gently take your body to the end of its range of motion. Dynamic stretching is great for warming up because it is more similar to the motions that a gymnast will be performing later on in the workout. It also helps to get the body and muscles warm, since the gymnast is moving while performing the stretches. I hesitate to mention what I’m about to tell you because I don’t want to encourage anyone to do flexibility moves with resistance. Dr. Tilley suggests that you should do any move assisted, then with gravity alone, before you add resistance. They slowly increased the amount of repetitions and sets. At the end of the study all of the gymnasts had improved their split leaps, jumps and kicks. I want to re-emphasize, this may not be appropriate for young gymnasts. However, it seems like doing a similar program without the resistance would still lead to improvement. How does this help me improve my splits? Well, if you want to learn your splits, so that you can do a split, be patient. Stretch only to the point of mild discomfort, and with weeks of consistent stretching you should begin to see improvement. You can also reference this MIT Working Towards the Splits page for information on stretches they suggest. If you want to improve your splits so that you can kick higher, or perform a leap with a bigger split, know that kicking higher requires dynamic flexibility. So the moves you should be practicing are dynamic stretches, like lifting one leg at a time as high as you can. Gradually you should improve. In conclusion, I think it’s important to be aware of what stretches you are doing in order to get the flexibility you need to perform the skills you are trying to learn. And also, it’s important to have patience when trying to improve your flexibility. This was helpful. I have one question though. Could you learn to do oversplits with this technique? Yes or No? This was helpful, but is there an exercise that will stretch all muscles at once? 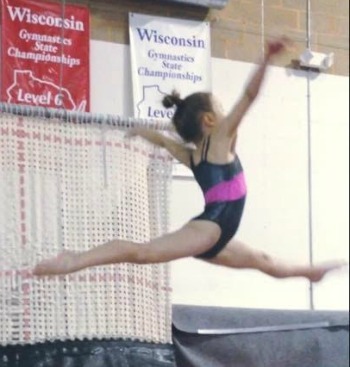 what questions can you ask about gymnastics? the above mentioned nuggets improved my stretching greatly…. If this is true, you probably weren’t using the cautions provided, and stretched to where you were feeling extreme discomfort. These tips do work! However, it is extremely important to follow the safety guidelines! I am a gymnast and I know from experience that over stretching only causes injuries! Also theses tips will not work over night! You have to give them time. Probably a minimum of 2 weeks at least. I can do my splits but it isn’t very comfortable, any tips?